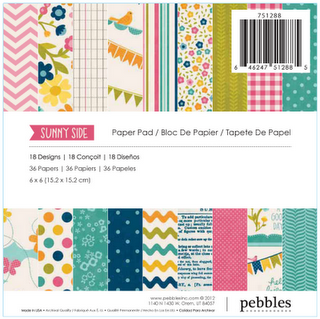 I have long been a fan of Pebbles Inc. products and have quite a few of the collections in my scrappy stash so I was excited when the new Sunnyside Collection was revealed and even MORE thrilled when I found out that I would get to try it out for The Scrap Review. I love to use bright and fun colors and patterns when I scrap and these surely fit the bill! -while there are lots of girl-themed products (flowers, butterflies and pink, for example) there are also other patterns that can be used for boys as well. - the small alphas weren't cut all the way so they tore a bit as I took them from the backing sheet. I am sure that this was probably just a manufacturing defect in my package and perhaps a few others and not the product as a whole. -it was hard at first to get a clean image when using the stamps. When I changed to a different style of block (rocking block) to mount the stamps I had better results. You have to make sure to have even pressure over the entire image of the stamp. For this card I used some of the tag shapes from the "From Me To You" patterned paper. 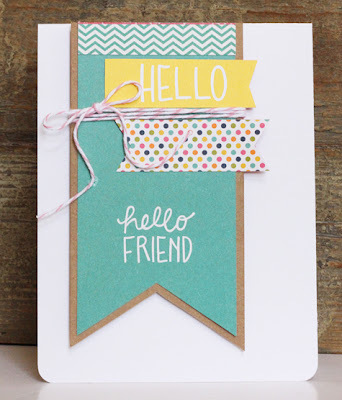 This has great little embellishments and journal spots for cards and layouts. 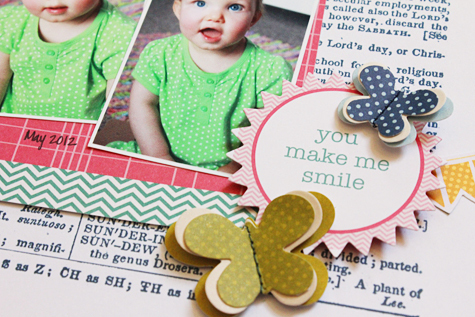 To make the round embellishment I simply cut out the "You make me smile" tag from the "From Me to You" piece of paper and ran it through my Sizzix machine with a pinked circle die from Lifestyle Crafts. I used the 6x6 paper pad for this page. 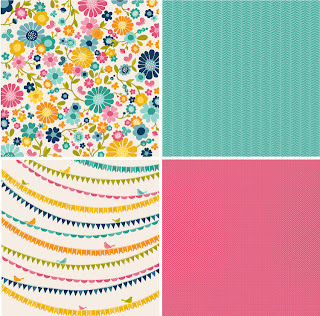 The smaller scale of the patterns is wonderful for card makers and also for scrapbook pages and other projects. 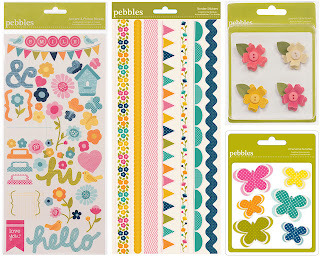 Supplies for all projects: Pebbles Inc. Sunnyside collection paper, stickers, tags. Twine from The Twinery. Bottom Line: I LOVED it! What do YOU think? Let us know what you think! Leave a comment by midnight EST on Friday to be entered to win this lovely Sunnyside Collection!! U.S. residents only and please leave a way to conact you if you win! Labels: Becky Williams, Pebbles Inc. The stamp set being a little difficult to use with certain blocks is good to know, since I was debating on getting them. Thanks for the review on the whole collection! I love how happy this collection is! 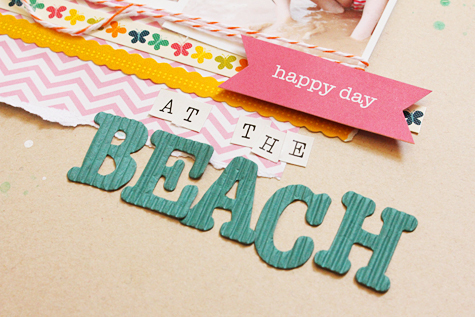 I find for stamps if I use my file and sand them just a bit it helps with the uneven issues even w/clear ones. I can see some fun projects in my head with this collection Thanks for the chance. 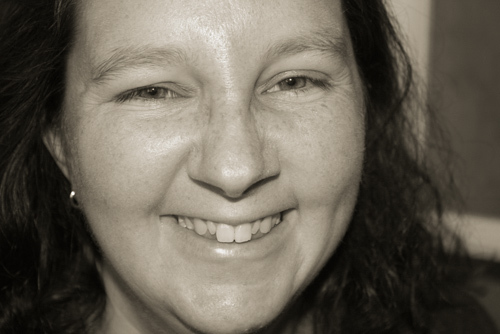 I've been wanting to see a thorough review of this product and I am happy to see yours! I love the diversity of the collection and of course, the colors! Thanks for the fun! The colors are so cute. Really like this collection. Overall this collection is one of my favorites! I too like bright happy colors! That stinks about the stickers not coming off the page great, but hopefully it was just a oops. I have had that happen before and it is frustrating! Loved your cards and your pages! My fav is the 12 mo. one! So adorable! Love, love, love this new collection. Love the colors and the patterns. It's interesting because I think this is the second review from you guys where the stamps that came with more of a paper manufacturer's collection wasn't the greatest. Wondering if the paper companies should just stick to the papers and regular embellies and not add stamps? Or team up with a stamp company, like some do with Unity. 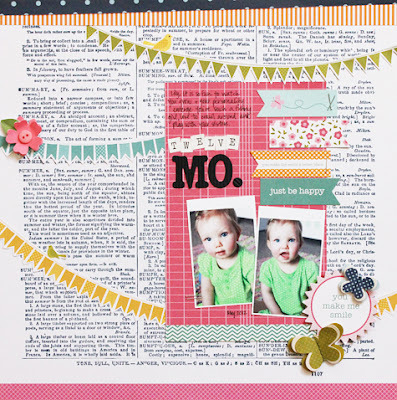 This is so fun...I love the bright colors...gorgeous cards and layouts, Becky! I can't wait to have this collection in my hands, seeing what you have created with it makes me want it NOW!! Love the bright colors and happy feel to it! What a great collection...I love the bright colors...happy colors. looks like a lot of fun to play wit this line. 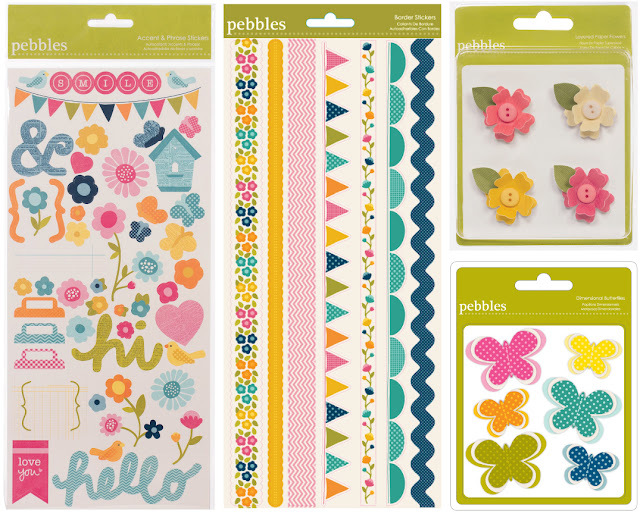 This collection, like all things from Pebbles, is adorable! This is such a pretty collection. I love the dark blue paper. I am glad to see it in so many collections that are coming out. I just love all the bright, pretty colors! 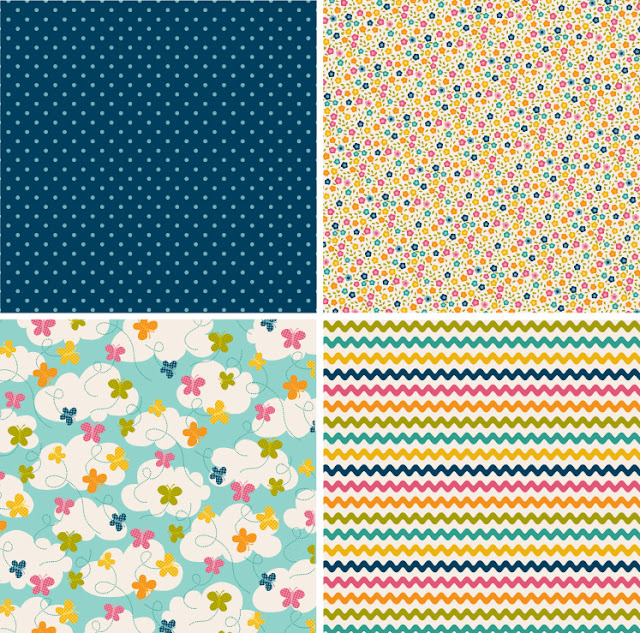 I really love these colors and patterns! And the alphas!!! 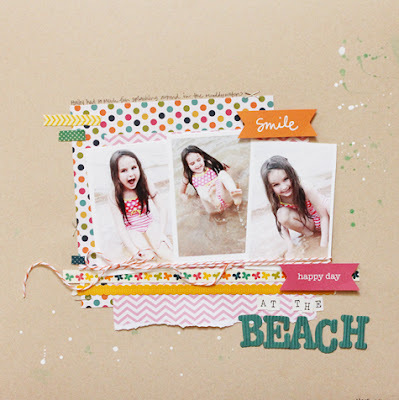 This collection has certainly caught my eye as well and I love what you created with it Becky!!! Oh! Thanks for the tip about using a rocker block! I ordered this set almost as soon as it came out and when the stamps came, the acrylic was terribly uneven (think valleys in the banner part) and the ink transfer was so patchy. I'll have to give a new block a try! I think it is colorful and fun! I Love your projects! Could definitely put this to good use! Becky LOVE your projects, but also what you wrote! and this collection is at the top of my wish list!! Thanks girl! Great collection! I love the cards and layouts you made! Oh wow . . . this is CUTE! The colors are so bold and vibrant! I love the letters! I love what you created! This looks very versatile . . . good for feminine and masculine! I love it! Loving all the freh colors and designs in this collection. 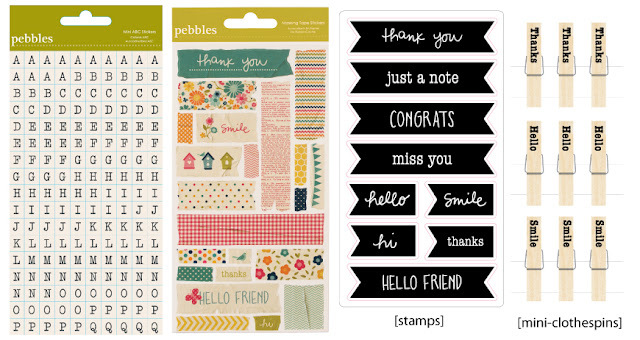 Would love to emboss with those stamps! OH - this line looks TOTALLY fun!!! 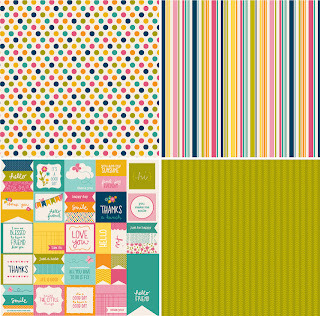 LOVE the bright happy colors - and your samples are FABULOUS!!! I love this collectino!!! The bright colours are right up my alley!! great review Becky :) love your projects! I LOVE this collection! Love the fun colors and those alphas are fabulous! 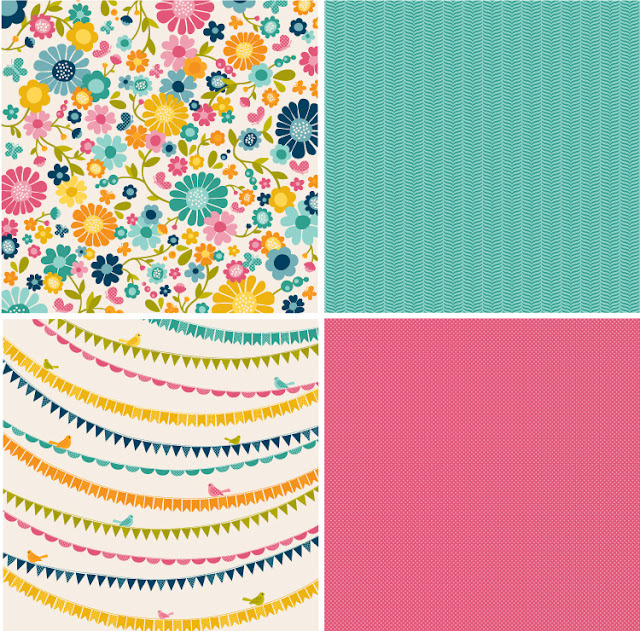 I think this collection would make fabulous summery cards, like the beautiful ones you've shown here! Jennifermcdermott1athotmaildotcom. I love what you did with this! The whole collection is super fun and summery!! Wow, love your in depth review! I love this collection and would use it on so many projects but it's good to know the limitations with the stamps and with the alphas! I definitely love the papers. The colors and patterns are just right up my alley. Great features using the collection and thanks for the honest review. I love hearing it all- the good and the not-so-good. I have the same trouble with all my AC stamps. Doesn't mean I don't love them- they are just more difficult to use. Your projects are GREAT and this line is GORGEOUS. Can't wait to see in IRL! 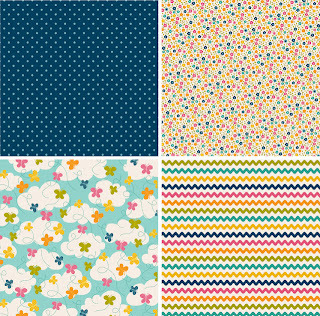 At first glance, I do like the colors and patterns of this line, but I wouldn't buy all of it because I have both a boy and a girl, and and I try to buy collections which I can use for both my kids. That said, I love the samples from Becky! They're not too "girly", and I appreciate the comment that there are parts of the line that are boy-friendly too. 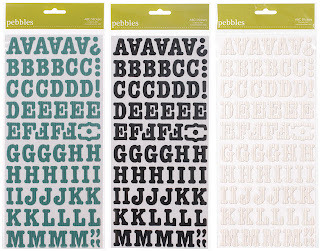 Pebbles always has good quality paper (although I honestly haven't tried their stamps! ), so thanks for the review to help me make a buying decision! I love the colors in this collection so bright and fun! I love the projects you've created with it! Looks like a fun and beautiful collection. 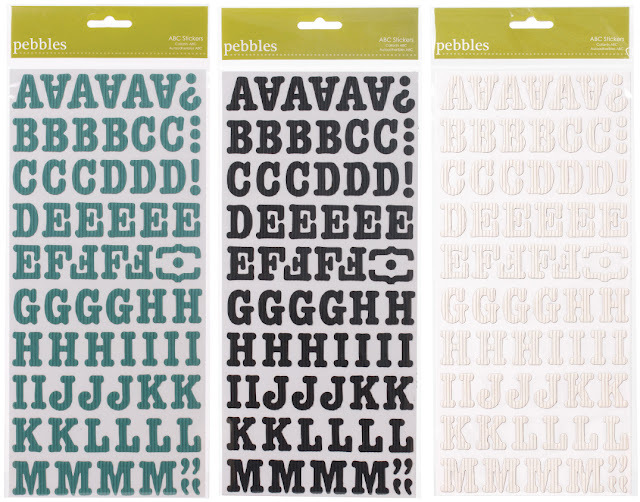 This collection looks awesome, which is what I've come to expect from Pebbles. Thanks for the great review, Becky and the amazing samples. I adore your work so much! I absolutely LOVE this collection! It's perfect for both boys and girls which makes it perfect for me!! LOVE what you did with it Becky! i LOVEEEE this collection! The colors are super fun! I really love this collection and you made beautiful projects...those colors rock! 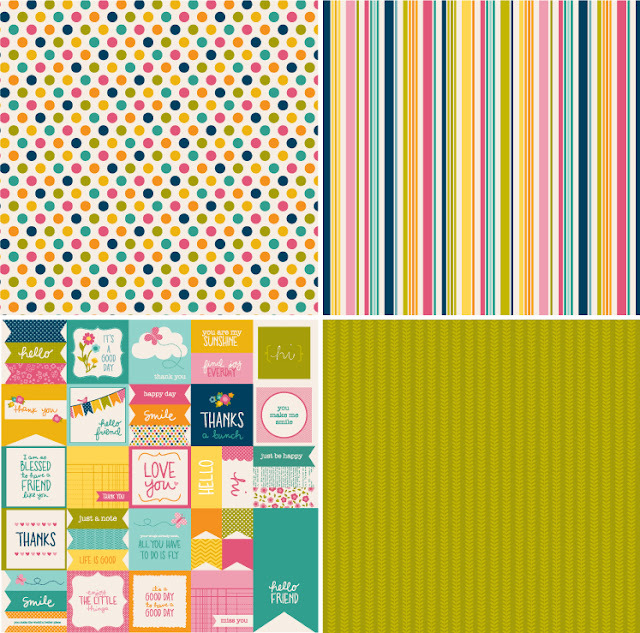 Love the colors in this collection - they are so bright and cheery. 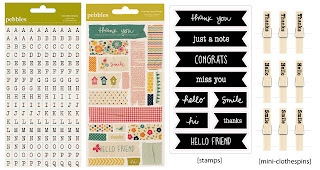 I especially love those stamps and am glad you reviewed them, thank you for the tips on using them. Your projects are fabulous!!! I actually really love the colors and the vibrancy of what I can see of them. I like your tip that the 6x6 pad is great as the patterns are on a smaller scale. I will definitely use that in the future as I do run into not liking that the patterns of my 12x12 pages are too large for what I envision. Thanks!